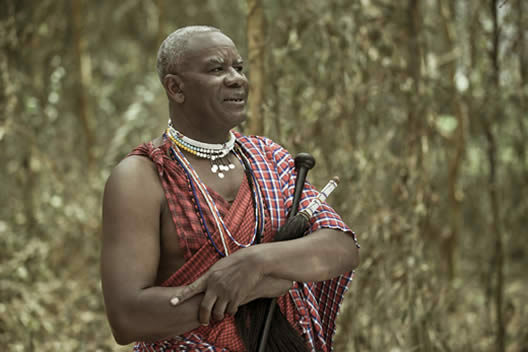 Ole Kirimbai serves not only as our chairman but also our elder statesman of conservation, having spent lifetime working with communities and the Tanzanian government on issues in natural resource management. His positive energy and wisdom continues to guide Honeyguide to this day. 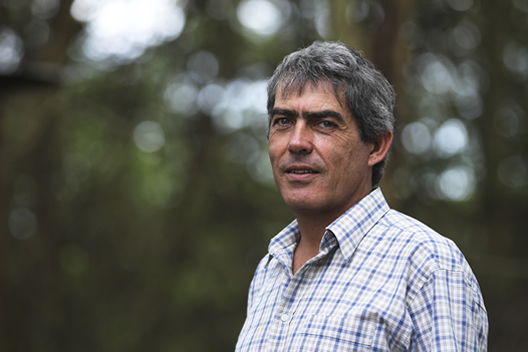 Born in Tanzania, Damian began working in community-based tourism and conservation before such terms even existed. An entrepreneur and visionary at heart, Damian constantly strives for new ways of overcoming challenges and increasing the capacity of our organization. 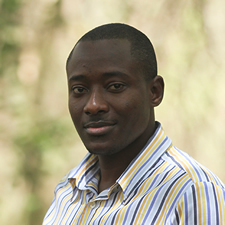 He, along with Ole Kirimbai, founded Honeyguide in 2007. 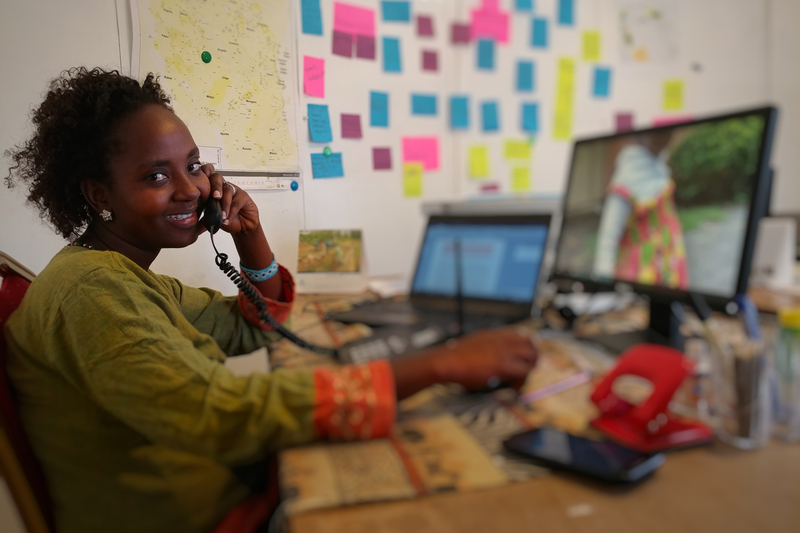 Belinda ensures that every dollar Honeyguide receives is well spent and accounted for in our books. She embodies Honeyguide’s spirit of efficiency, transparency, and responsibility. Lizzie as the Communications manager, she is responsible for external communication on donor reporting and internal communication within the organization. She manages the library, videos and all other communication materials in the organization. 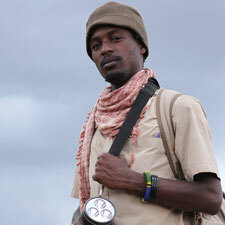 Sam is Honeyguide’s Program Manager. He is responsible for the overall program management, planning, monitoring and evaluation. 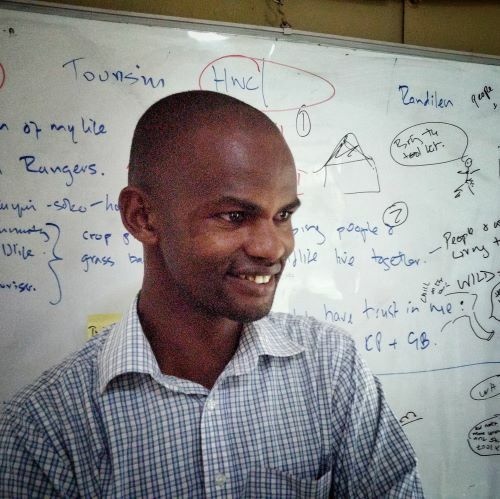 A Wildlife Management graduate of Sokoine University of Agriculture, Sam is an inventive thinker who strengthens our strategies and a rising software developer. Emmanuel loves his dogs, who happen to be some of the best tracker German shepherds and conservation dogs in East Africa. Born in West Kilimanjaro, Emmanuel has served as the team’s top handler and is even training a team with Tanzania national parks outside the Serengeti. 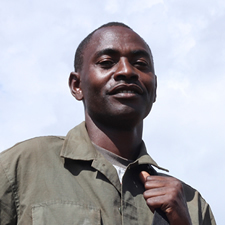 Richard comes from Tingatinga Village in West Kilimanjaro, a human-elephant conflict hot zone. 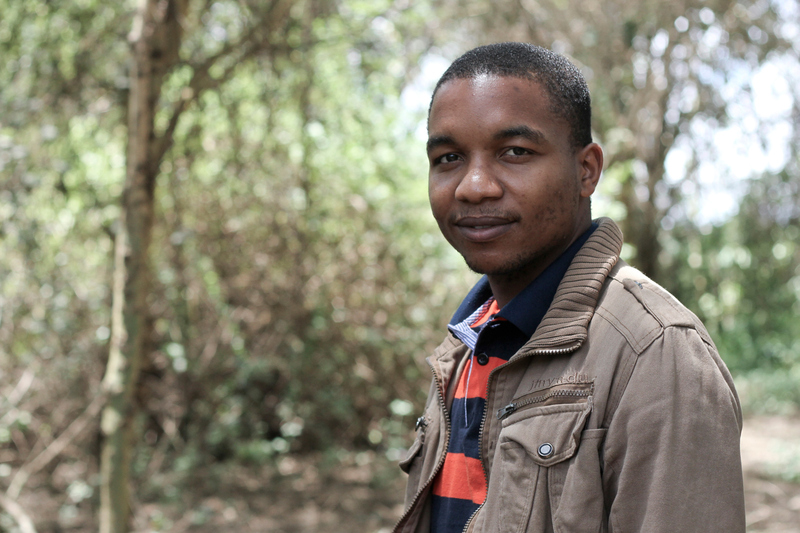 Beginning as a volunteer with Honeyguide, Richard has developed into an expert in how to mitigate such conflicts, so farmers can protect their crops and elephants can better coexist with communities. Alphonce not only regularly provides insights for Honeyguide’s board. As a coordinator and GIS expert with The Nature Conservancy, he also has served as a mentor for many of our young conservation professionals. 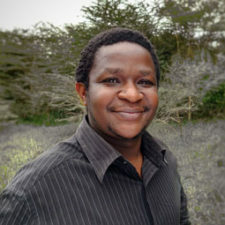 Daudi is responsible for all Honeyguide data from our working areas, he is great in the field and has a passion for strategic planning, data collection, monitoring and analysis. 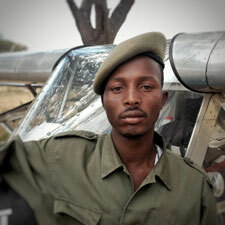 He has trained over 80 rangers in the field to use Smartphones for data collection. 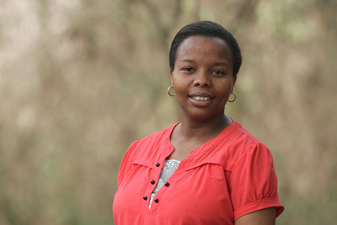 Petronela grew up just outside of Arusha in the foothills of Mount Meru. 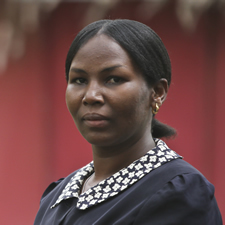 She has made extraordinary strides in learning new skills and in assisting Honeyguide in the countless ways that never receive the due recognition they deserve. Steven was born and raised in Same District, Kilimanjaro Region. He studied Mechanical Engineering at Nangwa Technical College and has extensive experience in this field, having worked for 30 years in his profession. 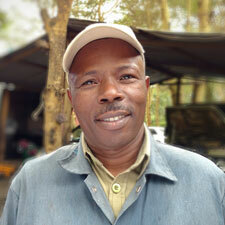 He leads a team repairing all of the vehicles and motorbikes, ensuring they are fit for yet another trip to the ‘bush’. Ken, a graduate from African Wildlife Management (MWEKA) College heads up all the Human-Wildlife Conflict mitigation efforts, as part of his job, Ken brainstorms with the Sam and his team on different and creative techniques of crop protection including managing over 800 community volunteers in the crop protections teams. Well-known “Meleck” started working with Honeyguide since 2012 as Monitoring Officer in the field in Kilimanjaro-Amboseli Ecosystem. Four years now with full passion, he is working as a special project coordinator and also assisting Sam monitoring project performance, organizing project meetings and ensures that the plans are being followed accordingly. Dukuru is a young Maasai Moran from Oltukai village in Manyara Ranch, who has a passion for protecting wildlife since childhood. He tracks all patrols and is a skilled user of SMART © conservation application and cyber tracker, where he records all wildlife data and photos are uploaded on his smartphone. 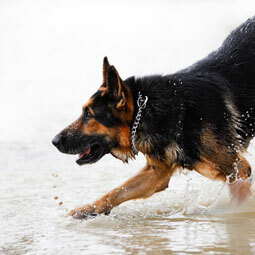 Rocky, the German shepherd who can sniff and track down a poacher practically from the forests of West Kilimanjaro all the way to the back alleys and markets of Dar-es-Salaam. 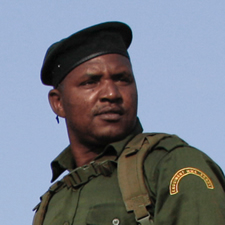 He is the founder of Honeyguide’s K9 Unit since October 2011 where he has lead countless arrests in Tanzania in joint operations with communities and government ranger teams. 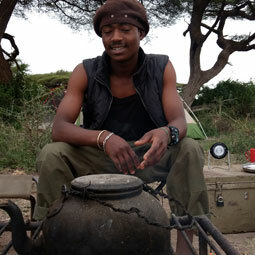 Honeyguide field teams always camp out, Eluid is a driver and also a cook, mechanic, navigator and just good company in camp. For the larger team trips into the field, Eluid makes sure everybody is happy and well fed. Leonard is known as ‘Chinaa”, sometimes up all night protecting crops from elephants, patrolling the area during the day, Chinaa loves being a ranger and is a great 4×4 driver. 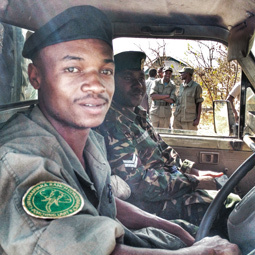 He started with Honeyguide as a mechanic and was committed to learn to drive and become a ranger, he is living his dream. Honeyguide is a grass roots, non-profit, non-governmental organization based in Tanzania dedicated to support communities and the conservation of wildlife and natural resources through long-term community partnerships. The African Honeyguide is a bird that actively guides humans (and honey badgers) to beehives; we chose it as our symbol as it is a beautiful example of the symbiotic relationship between humans and wildlife and of successful partnerships in general.